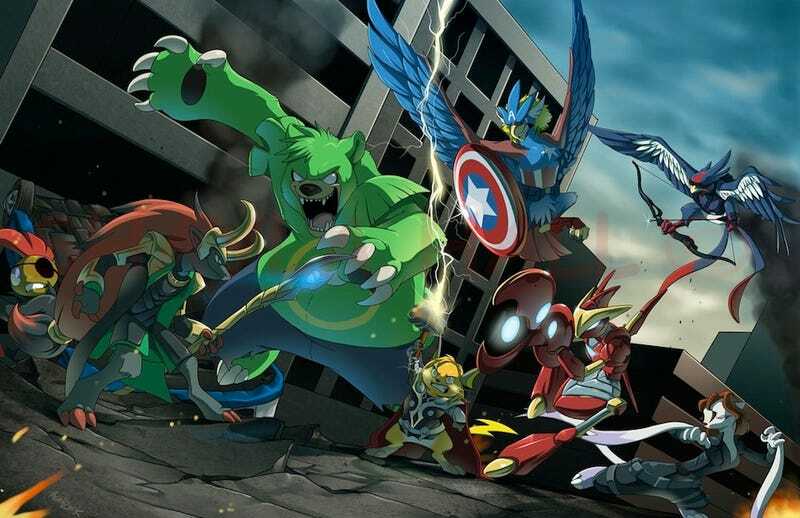 At first I wasn't sure if this new crossbreed of Pokévengers by AstroZerk made The Avengers more or less menacing. But then I saw Thor/PikachuRaichu and I realized just how darn cute these new creatures are. Be sure to expand for full cuteness.